Thank you to everyone who took part in our wear it pink day on Friday 19 October to raise money for Breast Cancer Now. 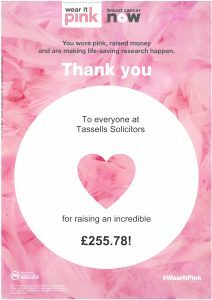 We raised an amazing £255.78. Thank you all very much. The office is closed today for essential maintenance. We will open as usual on Monday 22 October 2018. We apologise for any inconvenience this may cause.